Beginning in 2017, Auburn University students participating in the Appalachian Teaching Project of the Appalachian Regional Commission worked with students at Tuskegee Public School in Macon County, Alabama to document the lives of veterans living in the county. Using the United States Library of Congress Veterans History Project model, veteran interviews are submitted to the VHP and also preserved on this site. Students will conduct additional interviews in the 2018 fall semester, and if you or a veteran you know would like to participate, please contact us to schedule an interview. 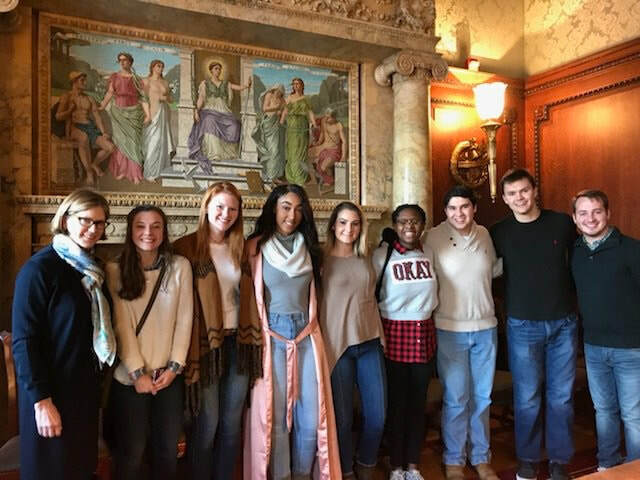 2017 ATP Team (left to right): Karen Lloyd (Director of the Veterans History Project), Celia Landers, Anna Levi Chavis, MaKayla Smith, Emma Stewart, Tyra Wilson, Garrett Modawell, Devin Taylor, Aaron Carpenter.